I know it seems like yesterday, but the city celebrates the streetcars’ 5th birthday and over 4 million rides in July of 2019. It hit the tracks and began service in July of 2014. If you’re a Tucson resident who’s been here awhile, that may seem hard to believe. 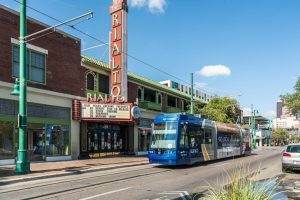 The streetcar connects four main districts and provides access to over 300 venues along it’s 3.9 mile route. 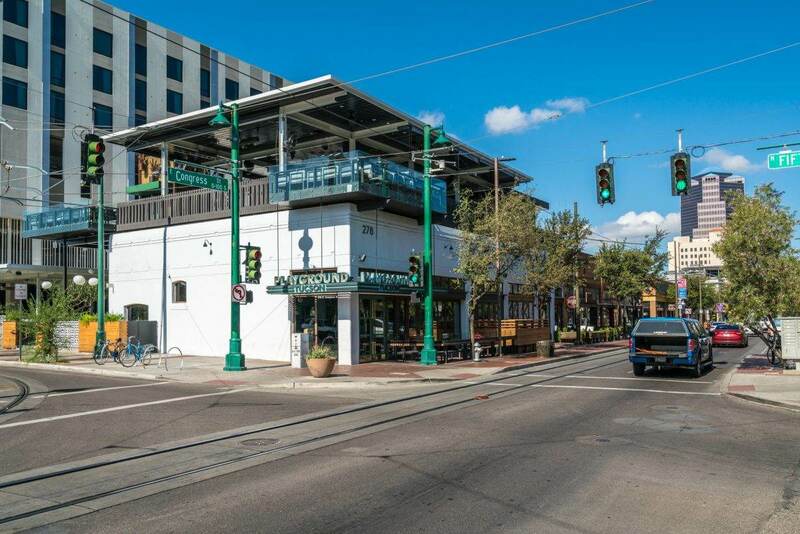 The track runs from University of Arizona Campus, Main Gate and Banner Hospital, through Fourth Ave, then downtown Tucson and over to the new Mercado District on the west side of 1-10. Now, If we could go back in time, I’d say that the magic really started around the beginning of 2012. Famous chefs, private money investors, and entrepreneurs were already on the hunt for building spaces and investments with the anticipation of what the streetcar would bring. When construction of the streetcar started around April of 2012, new businesses were already underway. 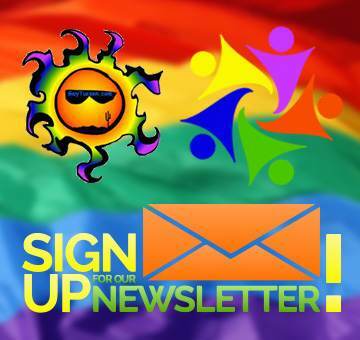 At one point last year, it was reported that a new business was opening every 8 days. Of course what the streetcar would bring, and the entrepreneurs knew, is people and lots of them. Some willing to sell their homes in the foothills and rent high end apartments (up to $3000 per month) just to be in downtown. Seniors who want connected to services without the need to drive themselves. Many others relocating to Tucson for new jobs. All with the same desire to be near downtown and enjoy the urban lifestyle it now offers. 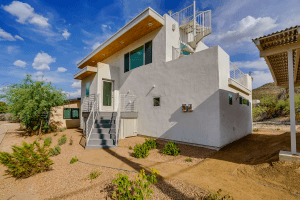 Downtown Tucson: Housing For Sale? As you know, people moving into the area creates the need for more restaurants, retail, health care and definitely more housing. Up go the apartments, in fact, thousands of them already underway. Apartments? Probably not want you want to hear, I get it. So what about housing for sale? It’s happening, not as fast as I’d like, but it is. Areas like Armory Park, Menlo Park and the Mercado District have seen some amazing growth. Several small builders are to thank as they really dominate these areas around downtown. From remodels to complete renovations and quite a few new construction sites, these builders are going as fast as they can. Not the home prices you might remember: The cost of construction is high and the buyer demand is high so pricing may be a little shocking if you haven’t checked it out lately. For example: We recently listed a home in Menlo Park for $340,000. A completely renovated hip roof bungalow with just a little over 1600 sf. We received two offers. The first agent submitted a low ball offer after advising his client, and me of course (lol), that the home was grossly overpriced. The home appraised and sold to the second buyer for full price. A few years ago that home might have sold for under $200,000. I know your dying to ask me so lets get it out of the way now. What about condo’s? Unfortunately no new condo projects yet. A lot of people are misusing the word condo when what they really mean to say is apartment rental. Even some state and city officials seem quite confused about this subject. There are some older condominiums scattered here and there, but nothing new. Thus the high end apartments are at full capacity. I’ll leave you with this: If you haven’t been downtown lately, go. Drive around the neighborhoods, check out all of the old homes, the pride of ownership thats naturally occurring. Check out all of the new homes. Enjoy a second Saturday, dine at one the new restaurants, have a craft cocktail at one of the new speakeasy type bars. Just go and if you have any questions, call me. 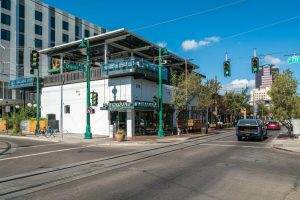 Again, I am always happy to share what I know about the new downtown Tucson.